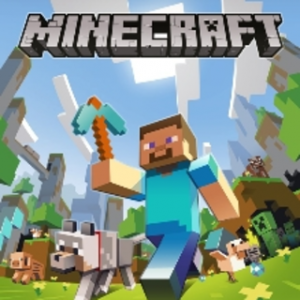 HomeShawn Levy Tapped to Develop Minecraft for Warner Bros.
Shawn Levy Tapped to Develop Minecraft for Warner Bros. It feels like Warner Bros. woke up at the beginning of this week, and decided that they’re going to be the preeminent studio for science-fiction and fantasy for the final half of this decade. They revealed release dates for three LEGO films, three Harry Potter spin-off films (Fantastic Beasts), and ten– yes ten– DC Comics films through to 2020 with possibly more on the way. That’s not enough franchises for the studio, apparently, and they’re developing another film with characters who tend to be kind of blockish. Minecraft, the ridiculously addictive game, is getting the big screen treatment, and now we know who the WB is talking to to bring that film to life. Deadline is reporting that Shawn Levy is now in talks to develop the film with an eye to direct. His latest film is This Is Where I Leave You, and he’s best known for his Night at the Museum films and Real Steel, so it’s a unique choice, since I don’t think he’s ever made an animated film. I am, of course, assuming that the film will be animated, but I could be wrong about that — although it would be a colossal mistake to go the live-action route. The game allows players to mine and extract materials from the game world, in the form of textured cubes, to build whatever their hearts’ desire. While there are other activities you can also take part in (such as exploring, fighting, or gathering resources), building new structures is the beating heart of the game. Some of the structures created in the game by users are incredible for their scope and size. Players have built a full sized USS Enterprise D from Star Trek: The Next Generation, all of Middle Earth from Lord of the Rings, and even a fully functional 16-bit computer made from blocks of wood, stone, and other materials. What the game doesn’t have, though, is a plot. There are a few unique Minecraft creatures that inhabit the world, like the Endermen and the Creepers, as well as better-known creatures, like walking skeletons and zombies, but there’s absolutely no explanation as to why they’re present — or why your avatar is there, for that matter. This does mean that Levy has quite a bit of room to play with, in regards of explaining where the creatures come from, and who the protagonist is, but I truly hope he keeps the blocky design of the game for the film. It just wouldn’t be Minecraft with better graphics. One other popular game-turned-movie is Angry Birds, which will premiere in 2016, and boasts voice actors Peter Dinklage, Jason Sudekis, Maya Rudolph, and others.